Easter is coming to Montco early with over 25 egg-cellent events happening this week. 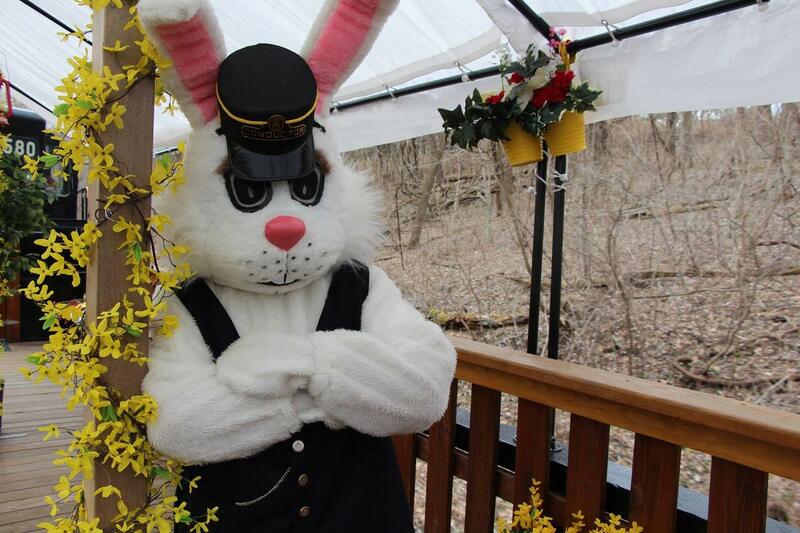 Ride the Easter Bunny Express, attend a Ukrainian Easter Egg Workshop at Glencairn, and indulge in the Easter Bunny Brunch or Mad Hatter&apos;s Tea Party for plenty of springtime cheer. 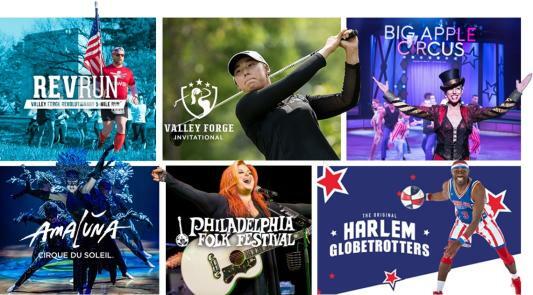 A live concert or theater performance – or chocolate lovers&apos; cocktail workshop – is also sure to chase away the last of these cold weather blues. However you choose to celebrate spring (we promise it&apos;s on its way! 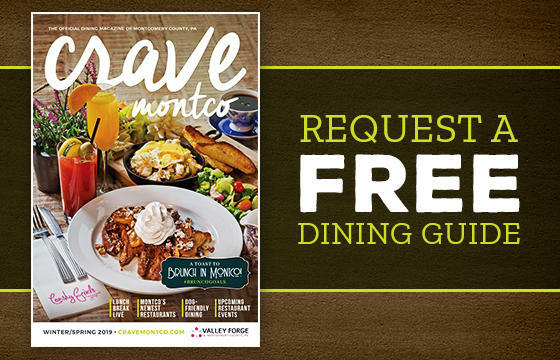 ), don&apos;t forget to #MakeItMontco. 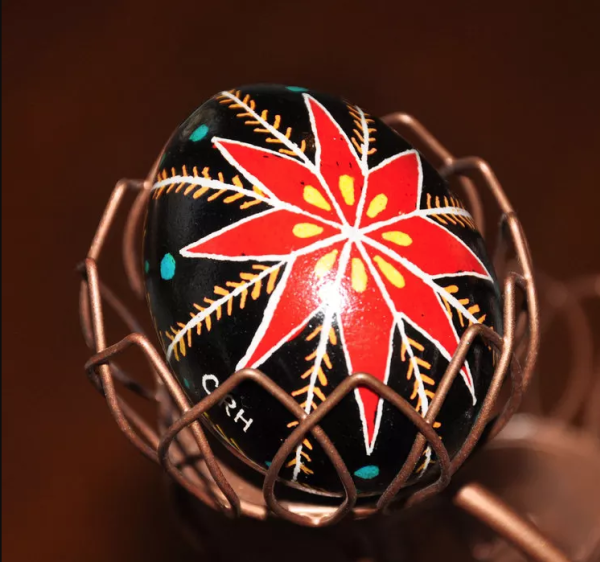 Pysanky, or Ukrainian Easter Eggs, are a centuries-old Eastern European decorating tradition that is passed down through generations. Registration required by Wednesday, March 21. 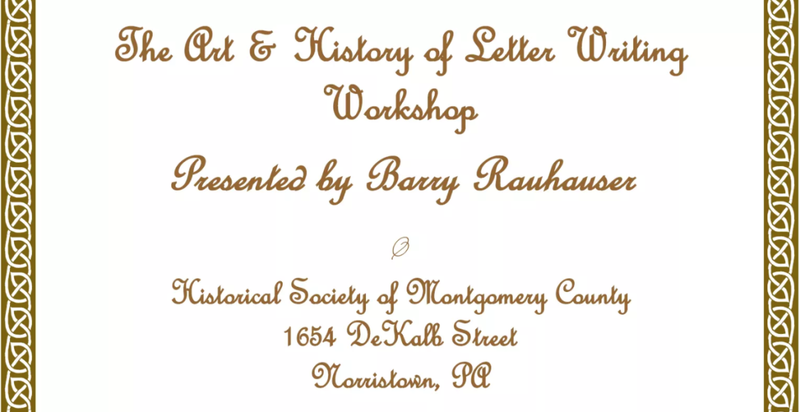 Try your hand at the penmanship styles and language of 18th and 19th century letter writing, presented by Barry Rauhauser. 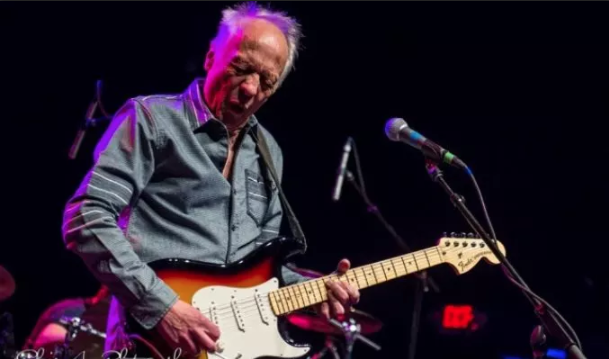 Make no bones about it, Robin Trower is an axeman&apos;s axeman. He&apos;s been a Fender Stratocaster endorsee ever since Jethro Tull&apos;s Martin Barre let him try one before a gig in the early Seventies, and now has his own signature model – an honor accorded to few. Also at the Keswick this week is k.d. lang on March 23 and The Concert that Never Was - A Tribute to Frank Sinatra and Barbara Streisand on March 24. Mandala is an independent five-piece band based out of Connecticut. With a female vocalist and a musically technical band behind her, they deliver "sad music you can dance to." Also at The Underground this week is Lizanne Knott, performing March 23. With over 2 dozen television credits to her name, Carole Montgomery is a respected veteran of the standup comedy scene nationwide. Jim Mendrinos wrote, directed and starred in the web series Living in Exile, and he is the creator of the sitcoms MAX, King&apos;s Castle, The Yuk Hut, and creator/writer for Comedy USA TV. Join the exciting vocalist Lisa Chavous as she takes us back to the days of disco&apos;s exotic moves with some "Friday Night Fever" and songs that make us stay on the dance floor all night such as "Bad Girls," "Last Dance," "Don&apos;t Leave Me This Way," and more. Also at the Woodmere this week are Secret Cinema "B" Picture Double Feature on March 20 and Astral Artists Present Pianist Ronaldo Rolim on March 24. Comedian Joe Conklin has been a constant in Philadelphia radio for more than 20 years, with his spot-on impressions of Barack Obama, Bill Clinton, Cole Hamels, Allen Iverson, Charles Barkley, Harry Kalas, Bobby Clarke and so many others. Big Daddy has performed more than 4,000 comedy shows over the past 20 years, along with hosting his popular overnight radio show on WIP. 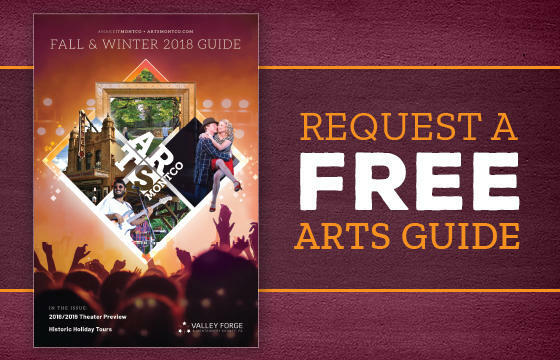 Philadelphia&apos;s premier contemporary ballet company, BalletX brings its unique performance to the Montgomery County Community College on March 24. Part of the college&apos;s Lively Arts Series, BalletX features world-class dancers with performances filled with athleticism, emotion, and grace. Theatreworks&apos; production of Charlotte&apos;s Web is based on E.B. White&apos;s loving story of the friendship between a pig named Wilbur and a little gray spider named Charlotte. Wilbur has a problem: how to avoid winding up as pork chops! Opening Week: "Philadelphia&apos;s Queen of Comedy" Jennifer Childs brings her acclaimed one-woman show I Will Not Go Gently to the stage at People&apos;s Light. The show centers around a faded rock-and-roller who reclaims the spotlight. Opening week performances are Wednesday through Friday at 7:30 p.m., Saturday at 8 p.m. and Sunday at 2 p.m. and 7 p.m.
Act II favorite Tony Braithwaite stars as Herb, a Hollywood screenwriter, in this performance of Neil Simon&apos;s I Ought to Be in Pictures. The show lovingly and hilariously depicts the return of Herb&apos;s long forgotten teenage daughter. Performances this week are Wednesday through Friday at 8 p.m., Saturday at 2 p.m. and 8 p.m. and Sunday at 2 p.m.
One Night Only: The Blackbox Studio Theater at Ursinus College hosts a special one-night-only performance of Clyborurne Park, a satire about race in two acts set 50 years apart. Act one is set in 1959 in a white neighborhood where an African American family purchases a home. Act two is set in the same house in the present day. The roles are reversed as the community is now predominantly African American and a white couple purchases the home. The story of Anne Frank and her family&apos;s attempt to escape Germany during the Holocaust is one of the most poignant tales in history. This moving stage adaptation, which features a multi-racial cast, tugs on heartstrings while bringing attention to underlying issues that still exist in today&apos;s world. The show has performances this week on Wednesday at 2 p.m. and 7:30 p.m., Friday at 7:30 p.m., Saturday at 2 p.m. and Sunday at 7 p.m.
What could be better than a good movie and great wine? The evening includes free admission to a 7:30 p.m. movie showing of "Bottleshock", starring Alan Rickman and Chris Pine, as well as an optional pasta bar dinner for $15 served at 7:00 p.m. Closing Week: It is the night of Orson Welles&apos; history War of the Worlds radio drama! The protagonists fall hook, line and sinker for the broadcast and run out to do battle. Lonny and Ruthie must fend for themselves, and they discover a mutual passion for that which is unknown and each other....a community theatre classic that rings true with anyone who ever lived in a small town or had big dreams! Closing week performances are Saturday at 7:30 p.m. and Sunday at 2 p.m. Closing week: By America&apos;s great comic playwright, this memory play is set in Yonkers in 1942. The hit Broadway production featured Irene Worth, Mercedes Ruehl, and Kevin Spacey in award-winning performances. Closing week performances are Friday and Saturday at 8 p.m. This special one-week exhibition of artistic cakes is inspired by the imaginative illustrations of Charles Santore and includes confections by leading Philadelphia cake artists, many of whom have had formal education in studio and fine art. Chocolate and cocktail lovers rejoice! This is a one-of-a-kind cocktail workshop where you&apos;ll be making and enjoying cocktails like &apos;Orange You Glad I&apos;m Cordial&apos; and more. Each cocktail you create will be paired with a signature Asher&apos;s chocolate. Don’t be late for a very important date! There’s plenty of time to say “hello” to the Easter Bunny at Willow Grove Park. Visit the Bunny, and then continue your journey down the rabbit hole to Wonderland for the Mad Hatter’s Tea Party – an adventure of magic and delight.